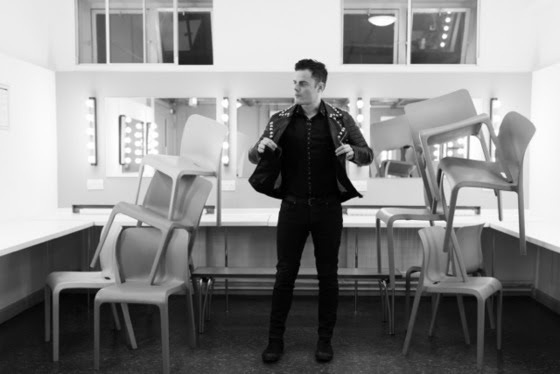 Marc Martel, the voice of the Queen Extravaganza, the Official Queen Tribute Band produced by Queen drummer Roger Taylor, has signed with Music City Management. The announcement was made by Josh Peterson, who founded the management company in 2012. In addition to Martel, the company’s roster includes Grammy–winning multi-instrumentalist Ron Block of Alison Krauss & Union Station. Martel is the former lead singer of Christian pop band Downhere, which disbanded four years ago. In 2011, Martel’s cover of Queen’s “Somebody to Love” was submitted to the Queen Extravaganza competition by Martel’s wife, and then became a multi-million sensation when posted on YouTube. To this day the video has over 12 million views.